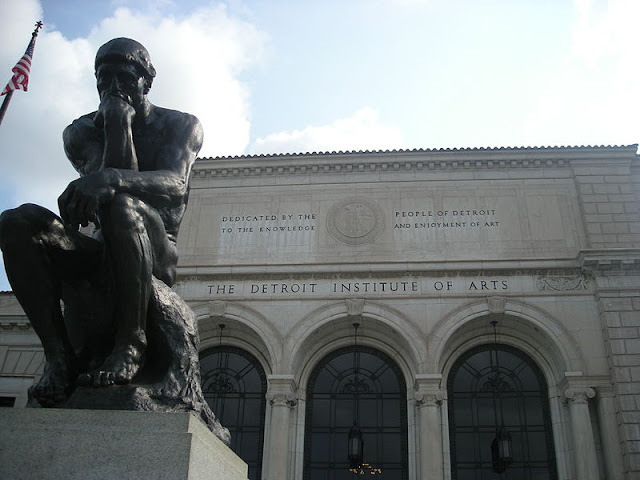 Bloggers around the world focus attention on the Detroit Institute of Arts - and its current plight. "You can only sell a unique work of art once. Then you don't have it any more and you never will and you are poorer forever." This masterpiece of tin-glazed earthenware (majolica) was realized in Tuscany around 1470 to mark the wedding of Lorenzo "the Magnificent" de' Medici and Clarice Orsini. Their confronted arms signal the dynastic importance of this event. If you live in Florence and care about art, Detroit - and the Detroit Institute of Arts - feels very near. There is a long tradition of great collaborative shows realized by DIA and the Florentine Museums. 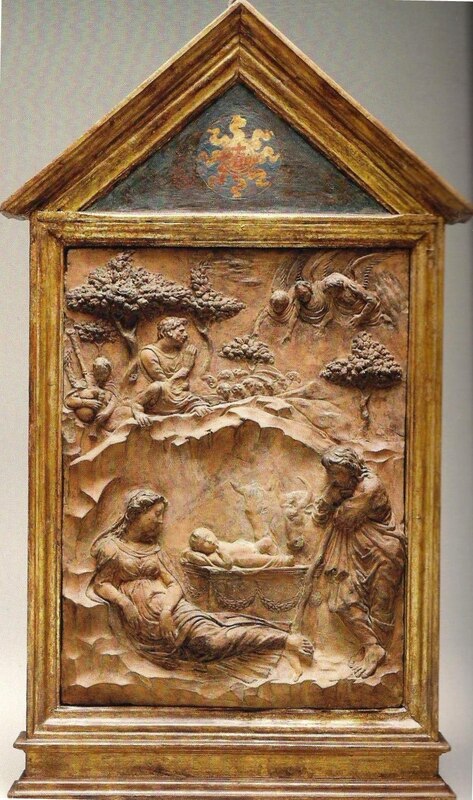 To name only a few superstars: The Twilight of the Medici (1974), Italian Sculpture in the Time of Donatello (1985), The Medici, Michelangelo and the Art of Late Renaissance Florence (2002-3). DIA has always been recognized as an exemplary citizen in the world of museums, eager to cooperate with others and conspicuously generous in loaning selected treasures to appropriate shows. In addition to the Medici-Orsini Vase, two important Detroit objects are now in Florence - at the overwhelmingly beautiful Springtime of the Renaissance in Palazzo Strozzi. 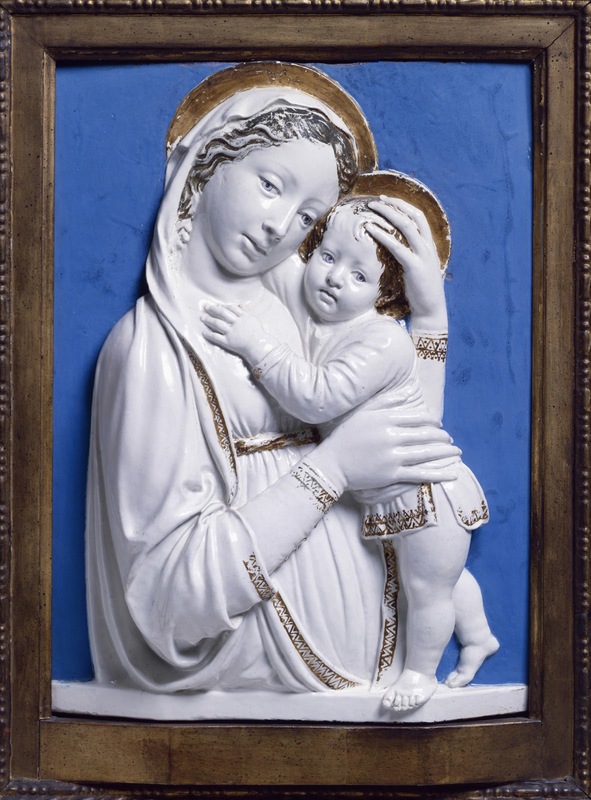 This Madonna and Child from 1445-50 is a superb example of Luca della Robbia's glazed terracotta technique and - astonishingly enough - it retains most of its original gilding. Since 1929, it has been beloved by visitors to DIA. 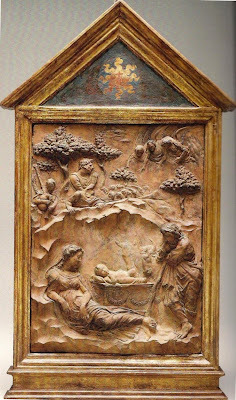 This intriguing Florentine terracotta relief of the Nativity, with traces of color and gilding was created around 1420-30, by an artist in the circle Donatello or Lorenzo Ghiberti. It entered DIA in 1976, after many years in the Ford Collection - an impeccable Motown provenance! 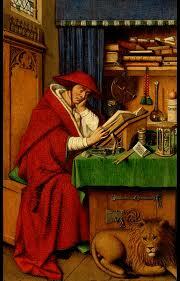 Jan van Eyck's sublime little panel of Saint Jerome in His Study was painted probably in Bruges around 1425. 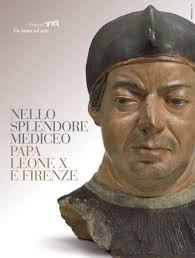 In 1492, after the death of Lorenzo the Magnificent, it was listed in the inventory of the Medici Palace in Florence. In 1925, it was acquired by the City of Detroit for DIA. And soon, it will be appearing in a gorgeous show at the Museo di San Marco, Mathew Corvinus and Florence (10 October 2013 - 6 January 2014). to the Knowledge and Enjoyment of Art"
Is there some part of that which you do not understand? !